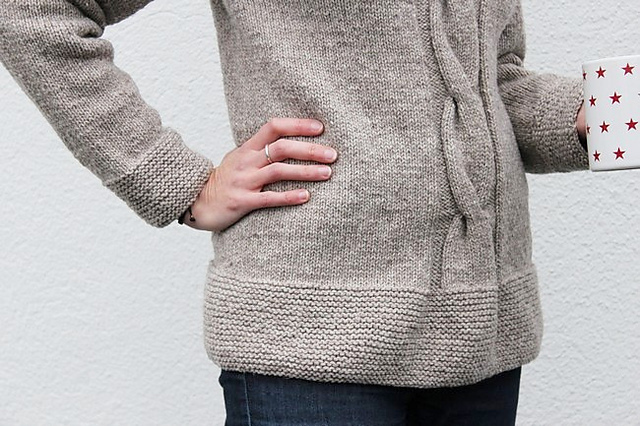 Loctudy is a cozy sweater, knitted from the top down, in the round and seamless. 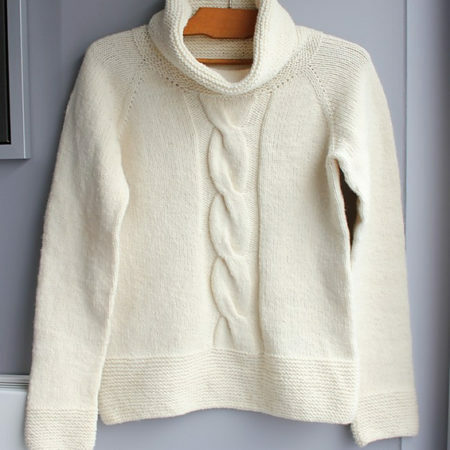 You can choose to wear it close to your body or with positive ease and add a large collar for a confortable sweater. 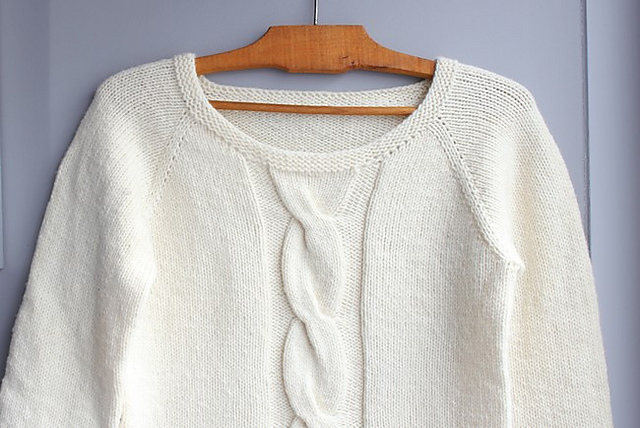 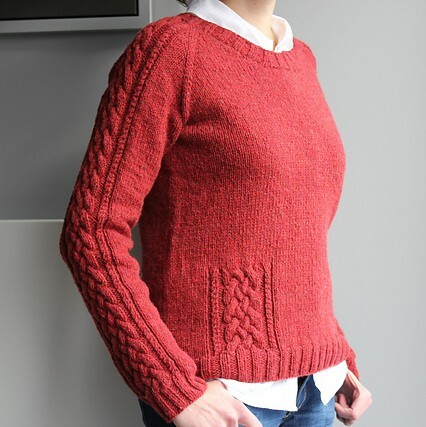 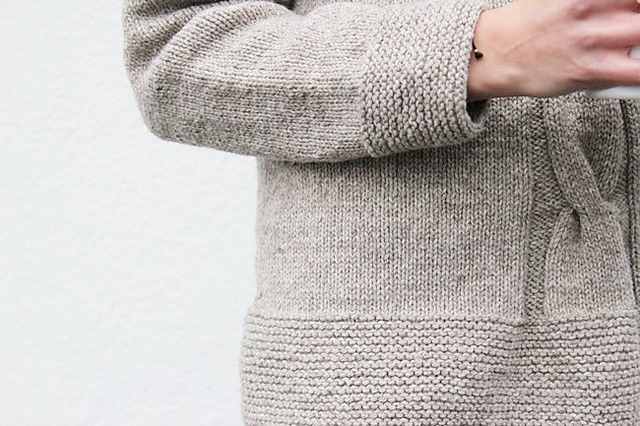 A simple sweater with a nice cable and a neck worked in short rows. 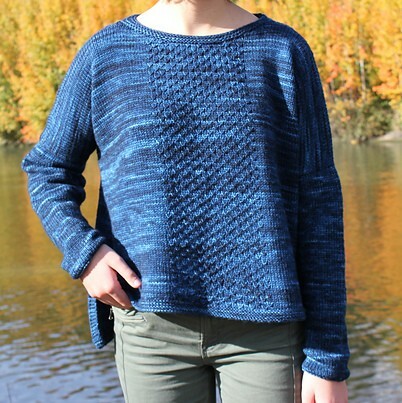 Askia is a sweater, knitted from the top down, in the round and seamless. 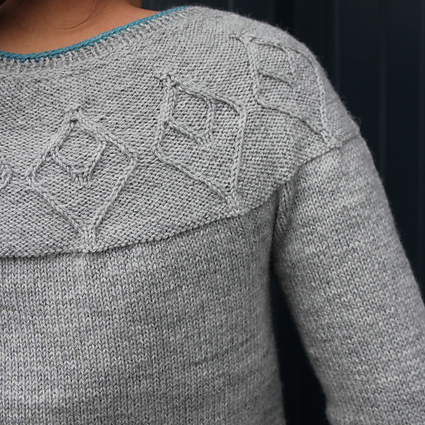 We begin by knitting the raglan, the body then the sleeves. 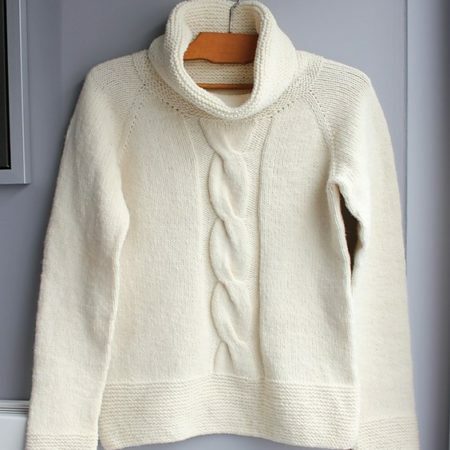 Stitches are then pick up to knit the neckline. 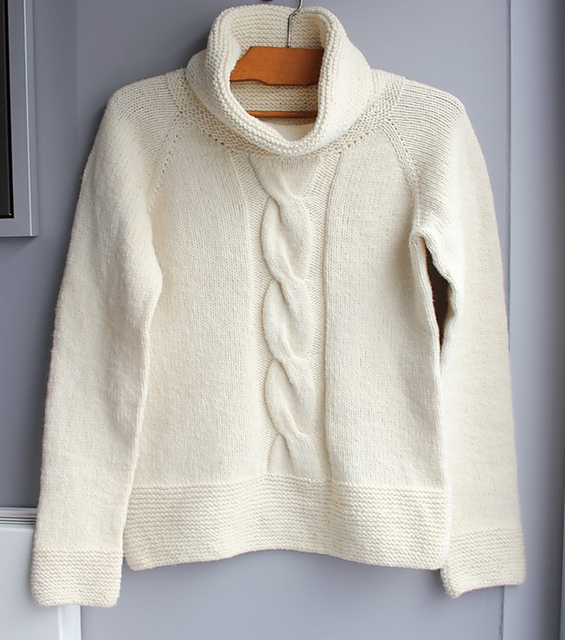 The photo shows a size M with 6cm of positive ease.